Ever since I got an electric mixer for my birthday a few years back, I have loved baking. I make peanut-butter pie quite a bit, and I recently made cupcakes for Halloween. So, when it came to Thanksgiving baking, I knew the desserts would be in my court. 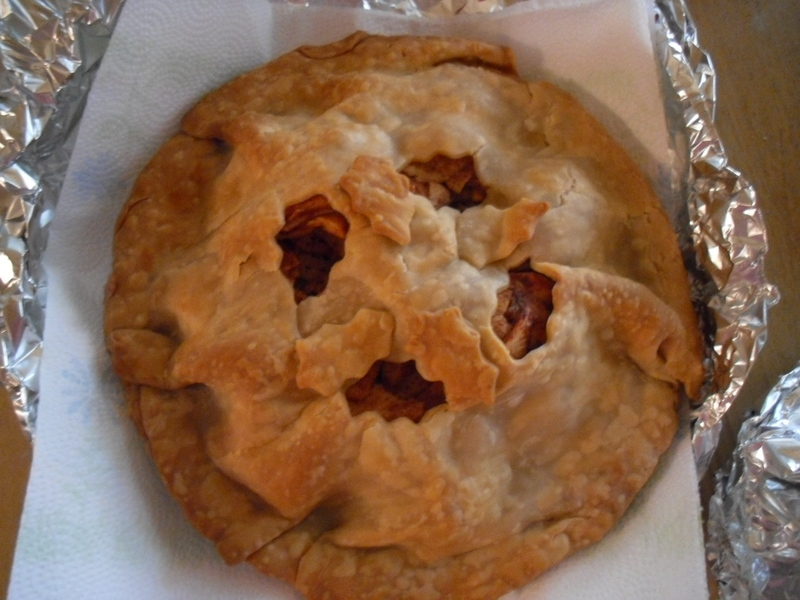 So, I commissioned my aunt Debbie to set me up for a baking challenge: homemade apple pie. Debbie’s apple pie is literally famous in our family. Normally, she has to make about five at a time to keep up with the demands. With my nephew Josh by my side, we took on the famous recipe, adding a few special touches of our own along the way. I texted Debbie several times along the way with needed direction like “Is this really the right amount of cinnamon” and “How does the crust look.” All and all, I think the end product spoke for itself: four men in complete silence eating homemade apple pie with French vanilla ice cream on top during Thanksgiving dinner. 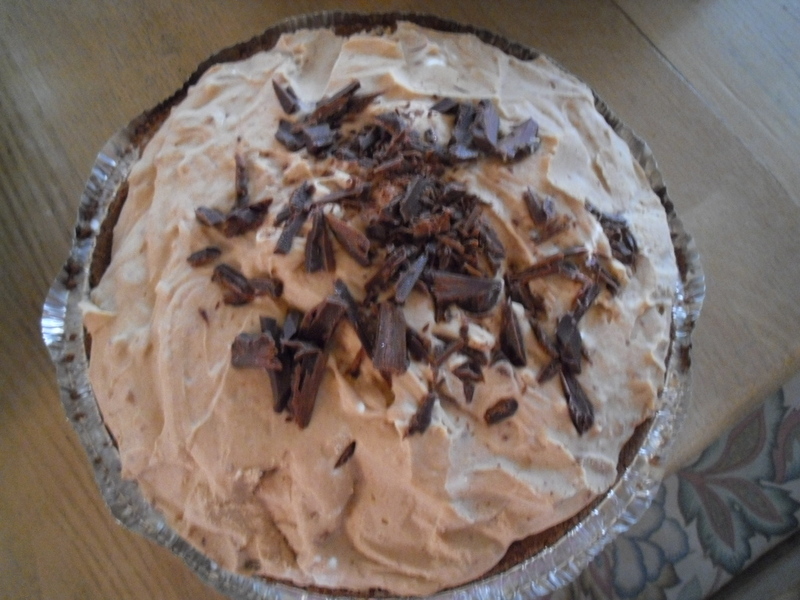 I’m including the recipe below, along with the recipe for peanut-butter pie! Enjoy baking up these favorite for your family. 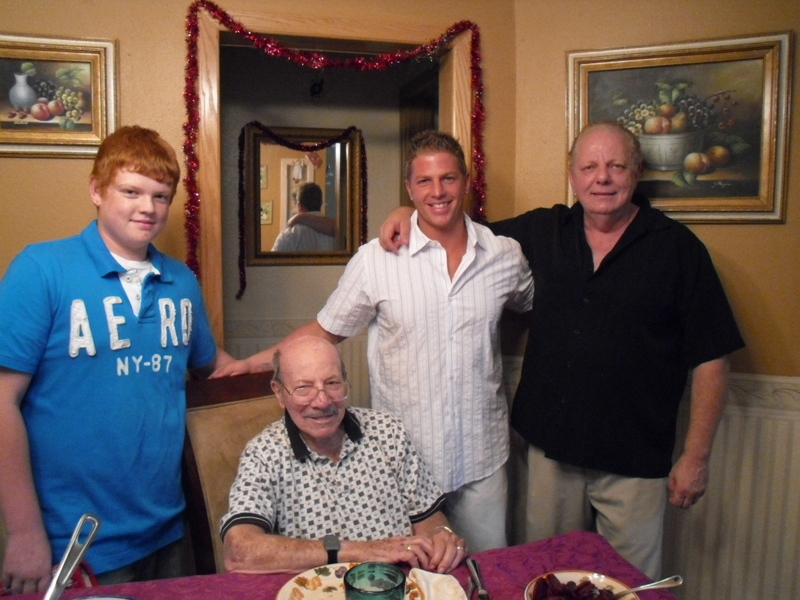 I know it really made Thanksgiving dinner for me … along with the delicious spread my father-in-law and nephew made. 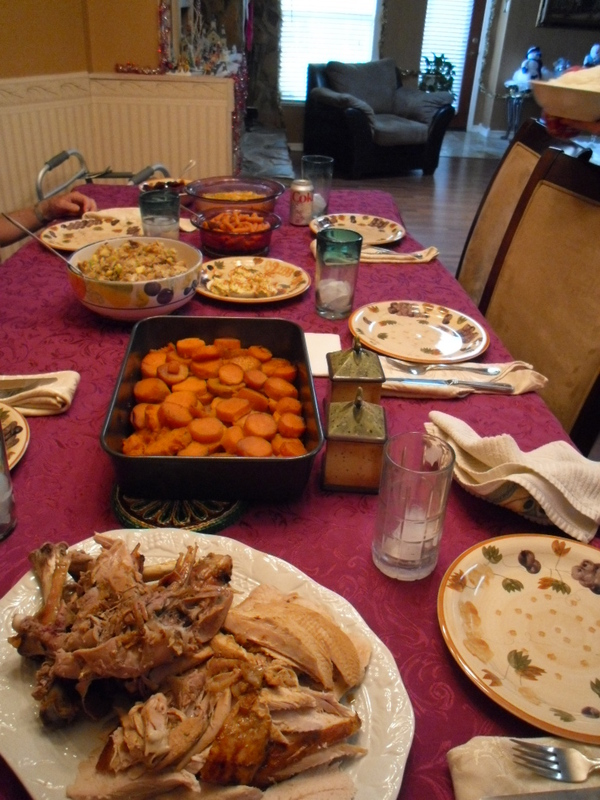 The turkey, mashed potatoes, stuffing and green-bean casserole has been haunting my dreams ever since. Put apples in to a deep-dish pie crust. Just buy the frozen kind. Pet Ritz is the best. Place 3 or 4 chucks of butter randomly on top of the apples. 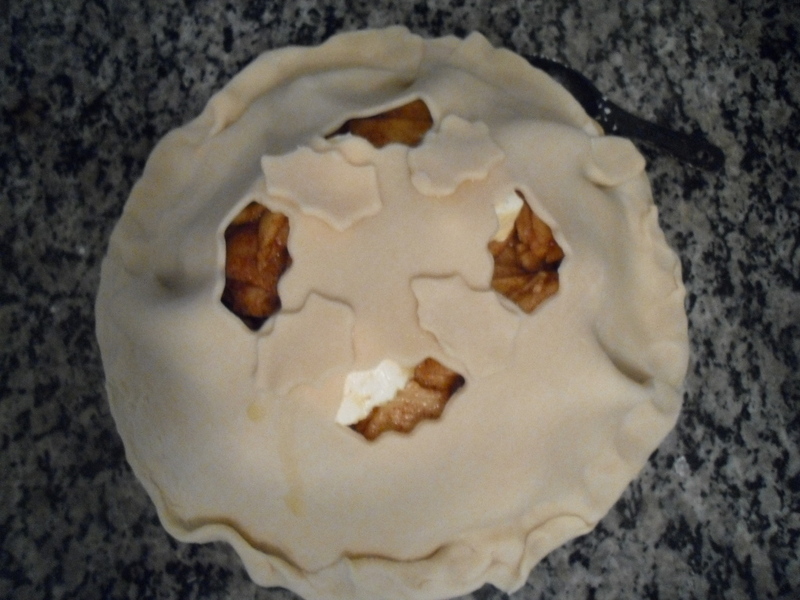 Please another regular pie crust upside down on the top. Crimp the edges to seal the pie crusts together. Cut decorative slits in the top crust to vent. We used a cookie cutter to make leaf cuts on the top. Brush the top crust lightly with melted butter and sprinkle with a little sugar. Bake at 350 degrees for about 45 minutes. Leave it longer if you like it a little crispy. 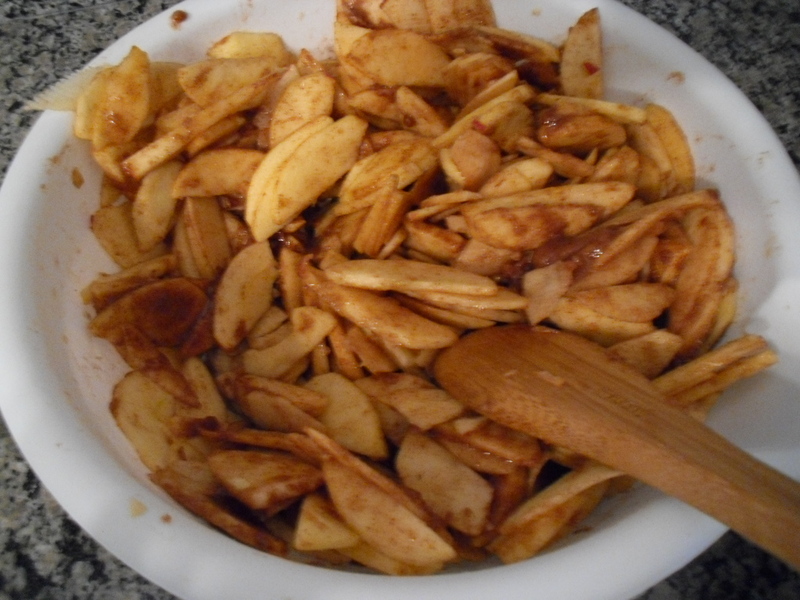 To ensure the apples are done, stick a fork in it and make sure they are soft. If not leave it for another 15 to 20 minutes. Whip cream with sugar until fluffy. Mix all other ingredients in a big electric mixer until smooth. Mix in whipped cream. Pour mix into the crust, and chill for several hours. Garnish with chocolate bits. And that’s life in a nutshell … my favorite part of baking isn’t the final creation; it’s spending time with my family while we enjoy each and every bite of life. You are quite welcome! I have enjoyed having one at home too! Wow! I don’t know why I didn’t think of this this years ago, great job.